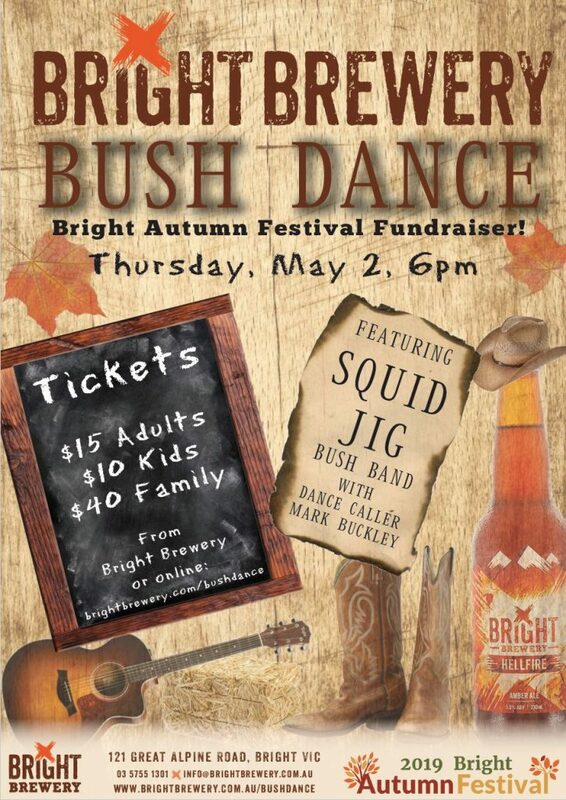 Round up your gang, grab your partner and swing on into Bright Brewery for a colourful night of bush dancing which will raise money to support the future of Bright’s Autumn Festival. This special event is a community fundraiser that will help showcase the spectacular Autumn season in beautiful Bright. All ages welcome! Contact Bright Brewery for more details and to buy your tickets online.